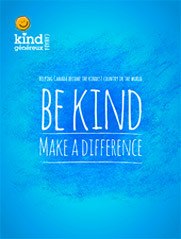 Canadians are incredibly generous and kind people, volunteering close to 2 billion hours per year. While volunteering is often thought of as doing something good for others, the fact is that giving your time and expertise is also beneifical to you. Kind people have twice as much DHEA, which slows down aging, and 23% less Cortiso, the stress hormone. According to Volunteer Canada, volunteering can play a vital role in healthy aging. Remaining active and staying connected to the community can have a positive impact on a person’s social, physical and emotional well-being. Volunteer Canada’s studies have found that older adults who volunteer have reduced stress-related illnesses and higher self-esteem. 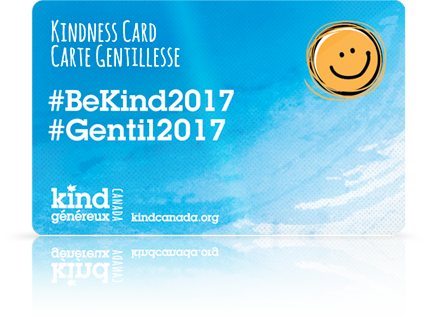 Would you like to volunteer and support Kind Canada in improving the health and well-being of Canadians? We welcome volunteer inquiries from people who are located in Ottawa as well as those who are willing to volunteer remotely. Thank you for considering volunteering with us!